This is such a fun book for little girls! 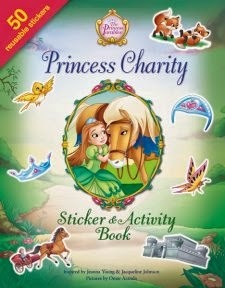 This is a sticker/activity book that has 50 reusable stickers! There are coloring pages, connect the dots, mazes, draw your own princess, and more. While I did expect the book to be a little bit bigger, I think this is a great activity book and I'm excited to share it with the little girls in my life.